Discreet little pewter bat earrings have a surgical steel post. 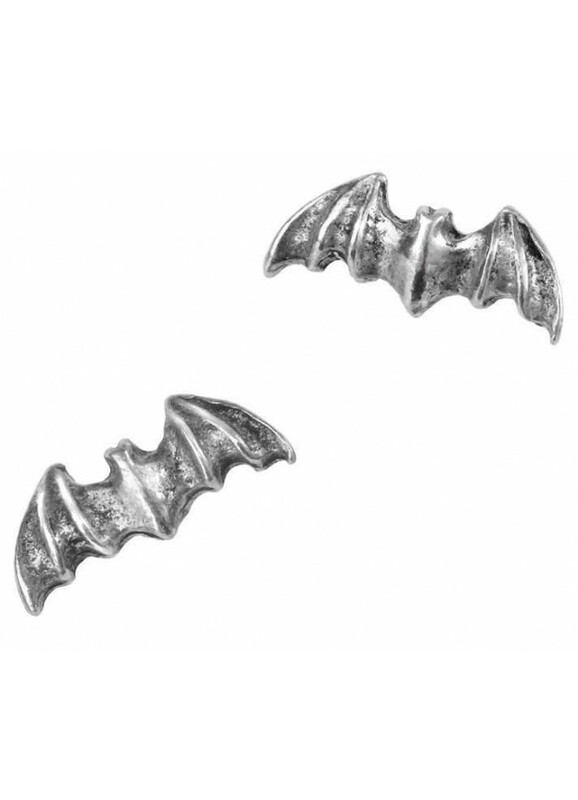 Discreet little bat earrings for the nocturnal hunter are pewter with surgical steel posts. Item Number: AG-E186 | Approximate Size (Inches): 0.00 wide x 0.00 deep x 0.00 high | Approximate Shipping Weight: 0.25 lbs.